Over the 8 days of our climb to the summit of Kilimanjaro, asante sana became one of the essential Swahili phrases we all learned. 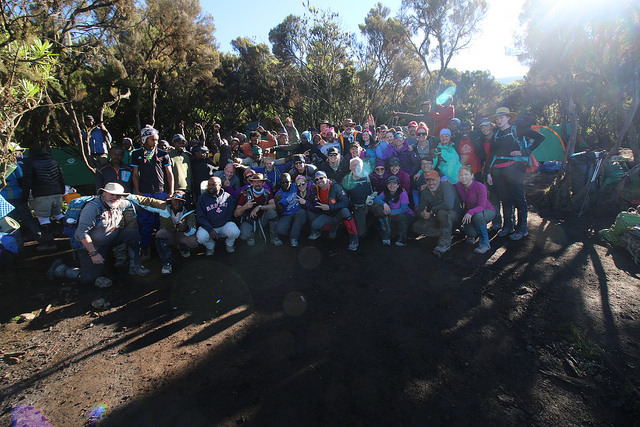 Asante sana to all our wonderful guides and porters – all 93 of them. 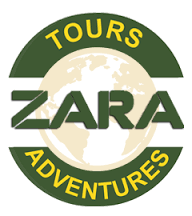 Zara Tours is managed by Zainab Ansell, a creative and committed social entrepreneur who I wrote about last week. Zainab employs all the porters and guides and has made a great effort to bring more stability to their lives by creating bank accounts for all employees so that payment for expeditions goes directly into their accounts to assist the families of Zara staff. 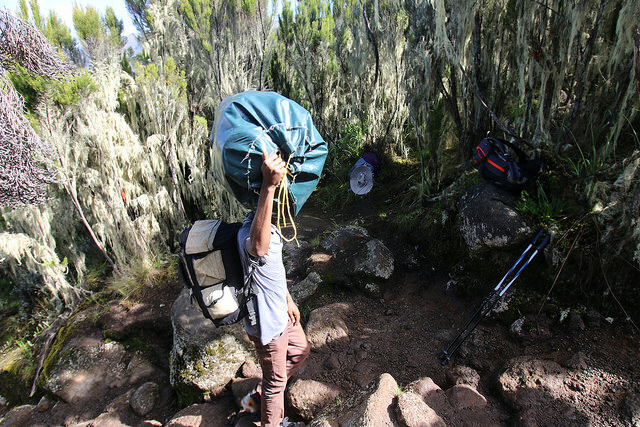 The porters carried everything we needed – food, water, much of our gear, tents, toilets – they were a moving village. Every day, they began our day with a hot cup of tea or coffee at our tents. They then supplied us with a great breakfast while filling up our water bottles and water bladders for the day’s climb. They then broke up camp and scampered way ahead of us to set up camp for lunch and our night stay. 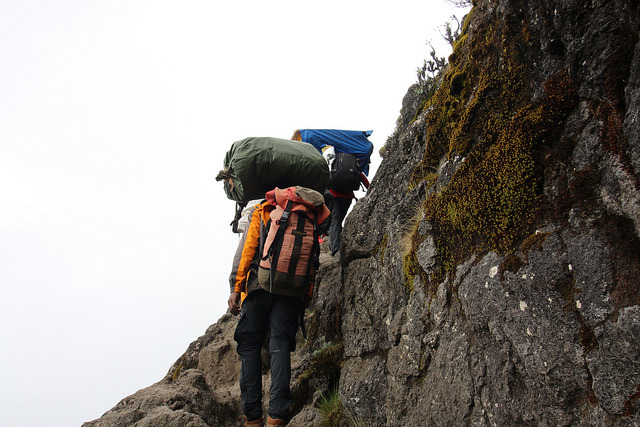 While we carried a small day pack, our porters carried everything else. The life of the climb flowed through them. We were accompanied each day by our guides who stayed with us, checking on us throughout the day. On summit night, they were the ones who carefully watched us and cajoled us to keep going – slowly polepole. At one point, as we froze during the night ascent of the peak, the guides actually broke out in song and started dancing. I am not a great dancer, but I moved right along with them in order to warm up in the frigid dark. The guides and porters took care of us. After hurting my leg on the way down from the summit, several porters looked after me and eventually lighted my way to the next camp – almost in complete darkness. That was a really long day. When climbers started to struggle down off the mountain after the long summit night, porters alerted to our level of exhaustion dropped what they were doing and climbed up the mountain to meet us and make sure we got down to base camp safely. They did this because they were so committed to helping us – Canadians unknown to them only a few days ago. On the last morning as we prepared to descend to the park entrance, everyone gathered to sing and dance in celebration of our collective achievement. We sang and danced with our guides and porters because we had become connected to these incredible people – our lifeline on the climb, our guides to the top.